Buying Points in the NFL - Yay or Nay? It's never the wrong time of the year to talk about football, so today I'm going to offer some tips and tell you the scenarios in which history has shown to be beneficial for buying points in the NFL. This is a topic that could spin off into detailed statistical analysis, however for the purpose of this article I'm just going to generalize the concept and outline a couple of point spreads that are favorable for the sports bettor. You'll often hear the term "key number" when listening to experts discuss sports betting. When they refer to a key number, they're essentially referring to a point spread or total that hits at a higher (or lower) percentage than others. To keep this article relatively simple, we will only focus on point spreads. In football, 3 and 7 point spreads are the biggest key numbers for the obvious reason that a field goal equals three points and a touchdown/conversion equals 7 points. To really illustrate the importance of these numbers, consider this: nearly 25% of all NFL games end with a margin of victory of 3 or 7 points. This is why lines makers set the majority of NFL games at a point spread of 2.5-3.5 or 6.5-7.5, and it's these half points (known as "the hook") in either direction that can have an enormous impact on your bankroll. An important thing to keep in mind when thinking about buying points is: it will cost you. This is why they call it "buying" points, because you are laying more juice to get your desired spread. 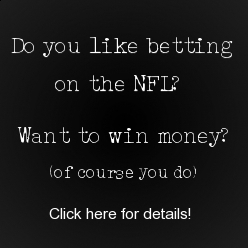 Typically, your sport book will charge you $110 to win $100 profit on a posted point spread. Every half point you buy will cost you somewhere in the neighborhood of an extra $12 on a $100 wager, making it all the more important to be extremely selective as a losing bet will cost you more money. Buying a favorite down from -3.5 to -3. There were a couple of other instances that made some money, but they paled in comparison to the Big Four listed above. Interestingly enough, buying points in the 6.5 to 7.5 range did not show to be profitable. Keep this information in mind during football season--it could make the difference between a winner and loser. Web site and all contents � Copyright sportbooksreview.com, 2010 All rights reserved.